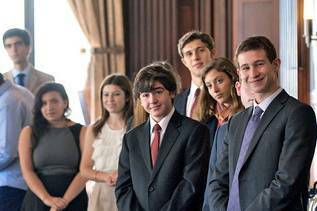 Each year, the Helen Diller Family Foundation awards $36,000 to each of 15 Jewish U.S. teens for exceptional leadership and engagement in service projects to make the world a better place. A good candidate for the Diller Teen Tikkun Olam Award will have shown significant initiative and leadership in creating and leading a new project that embodies the values of tikkun olam, repairing the world, in some way. A teen that has contributed to an existing tikkun olam project in such a way that the project was significantly deepened or expanded is an equally good candidate for the award. To apply yourself, to nominate a teen or to learn more about the program, visit www.DillerTeenAwards.org. All Jewish teen volunteers who are 13 to 19 years old at the time of nomination are eligible. For questions, please contact dillerteenawards@sfjcf.org or call (415) 512-6432.